Please note: This edition does not include a piano part. The F-minor Brahms Sonata was one of the first pieces I performed as a violist. Brahms' final group of chamber works differ greatly in mood from his earlier works. 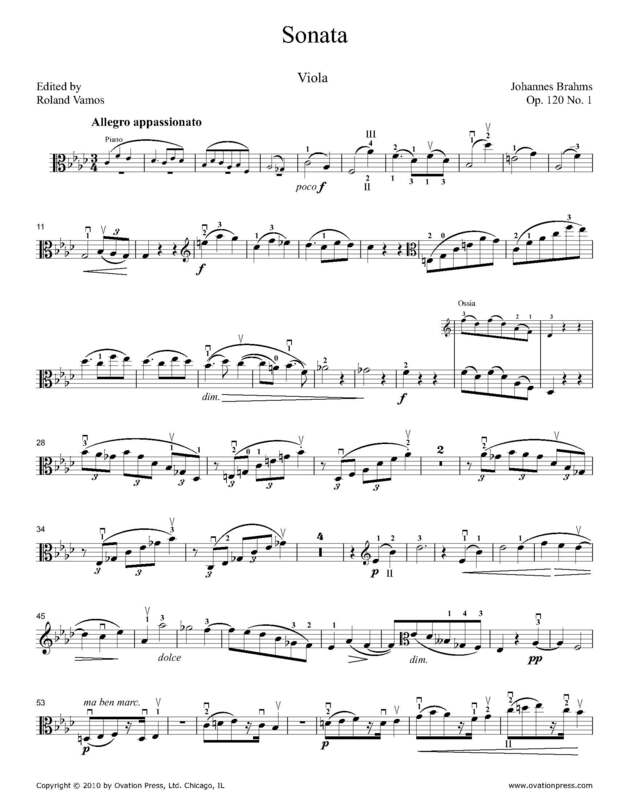 Written for Mühlfeld, these two Clarinet/Viola Sontas Op. 120 contain a reflective quality in the music despite Brahms' blurring of the conventional sonata form's boundaries. During the Classical and early Romantic eras few works were written for viola specifically as the solo instrument. Much more common were sets of music that specified the viola as an alternate. Brahms' Op. 120 may be the first repertory sonatas for the instrument.